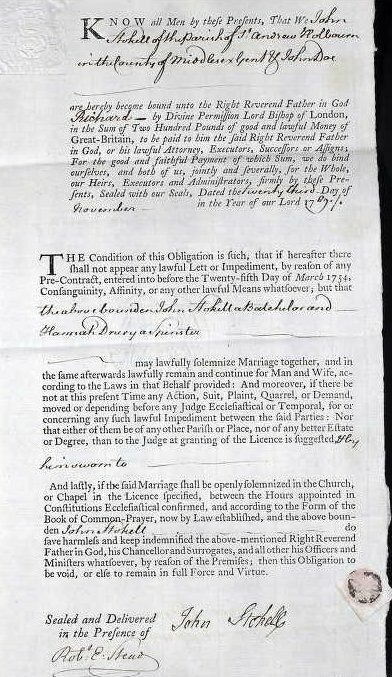 "Looking through the Great Card Index at the SoG in London, now on film, John found a reference to a Licence for a marriage between a John Stokell and Hannah Drewry in 1769 in London but the marriage never took place. 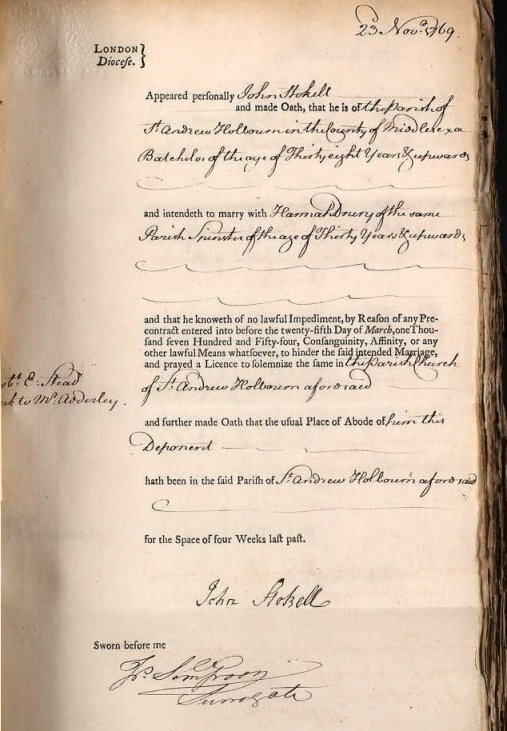 A baptism entry on the IGI for Jane Stokell in May 1769 was before the alleged marriage. Her sister was born in 1761 and another in 1772 all in London to a Stokell father and mother Hannah Drewry from Lincolnshire." "The Drewry family moved to Derby and Hannah's uncle Sam founded Derbyshire Mercury newspaper. They were Mayors of Derby, became rich, lived in big houses and had servants! John Stokell disappeared - he may have died. " "Hannah took her two surviving children to Derby. Jane married George Williamson. He died in 1828 aged 54 and Jane began the agency 5 years later. She would have contact with servants at her cousins' houses. Thomas Ince's pedigree gave the name of Jane's mother's side of the family. Jane was William Williamson's sister-in-law whose death he registered as a spinster." I believe that the 'John' in the first aragraph above is John Titford, a genealogist and historian who lives near Derby. I have found another document describing some of his research. See Jane Stokell. The documents were drawn up in November, 1769 at St Andrews, Holborn, London. Hannah's surname is spelt Drury. So far we have not found a marriage record. Of the three children's christening records, below, only one is dated after the pre-marriage documents. All of the children's christening records are from the register at St Andrews, Holborn, London. In the first record, Ann's surname is given as Stockeild, but this is almost certainly the record for Ann Stokell.